Growing up as Filipino-American, I was able to enjoy several dishes inspired by both Asian and Spanish cultures. Filipino recipes are chock-full of flavor, whether savory, sweet, or both. 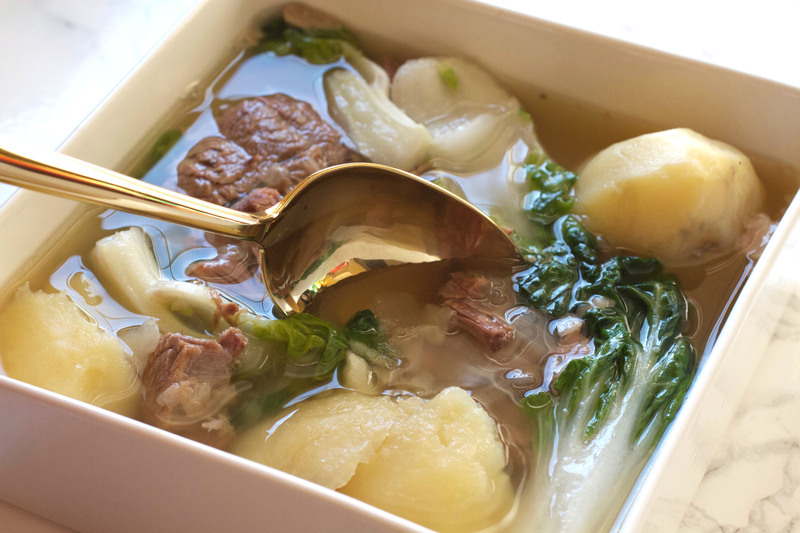 Nilagang Baka, or Filipino Beef Soup, was one of my favorite dishes growing up, perfect for the chilly Fall weather and very filling! 1. Combine the bone broth with water in a large pot. Bring it to a boil. 2. Add in the onion then reduce the heat to medium. 3. Cover and let boil for 20 minutes. 4. Remove the onion from the liquid using a strainer. Be careful. It’s hot! 5. Add the beef to the liquid and let simmer for an hour to an hour and a half, or until the beef becomes tender. Add water as necessary to soften the meat. 6. Add the white potatoes and cook for 10 minutes. 7. Add the boy choy and stir into the soup. 8. Sprinkle salt and pepper to taste. Stir, cover, turn off heat, and let sit for 2-5 minutes while the vegetables cook. 9. Optional – add fish sauce to taste. 10. Serve with white or brown rice. Roli Roti is a gourmet rotisserie company who was the first in America to make sustainable, slow-cooked “street” food. Its founder, Thomas, learned from his master butcher father while growing up in Switzerland. He and his family are passionate about providing the masses with wholesome food. 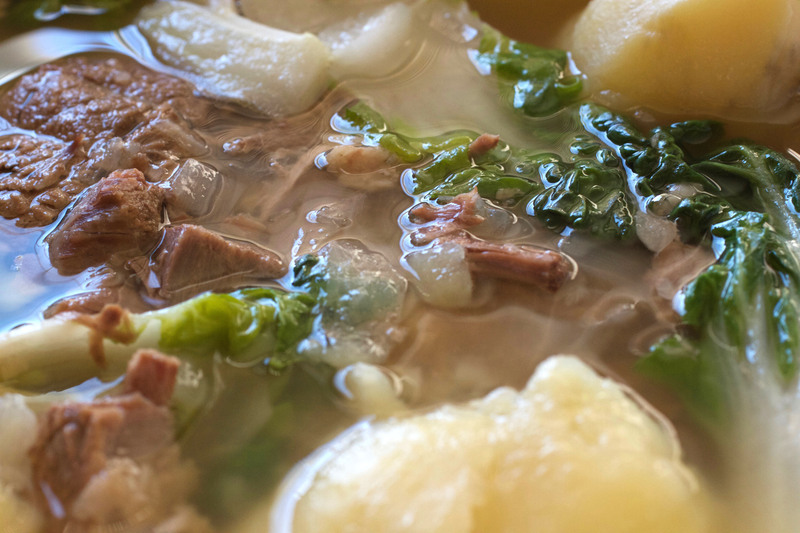 Roli Roti makes a tasty bone beef broth that adds savory flavor to any recipe. Roli Roti Bone Broth, in beef or chicken, is available at all Mollie Stone’s Markets locations. What is your favorite soup recipe for Fall? Let us know in the comments below!